In 1996, Beston Barnett received his Bachelor of Science degree from Harvey Mudd College in engineering and sculpture. As an engineer, Barnett worked at IBM for four years, before leaving to pursue a career in the arts. While running Art Hurts Records – an independent music publisher – Barnett attended the Cabinetry and Furniture Technology program at Palomar College, receiving awards from the Furniture Society, the San Diego Fine Woodworkers Association, and the North County Woodworking Club. 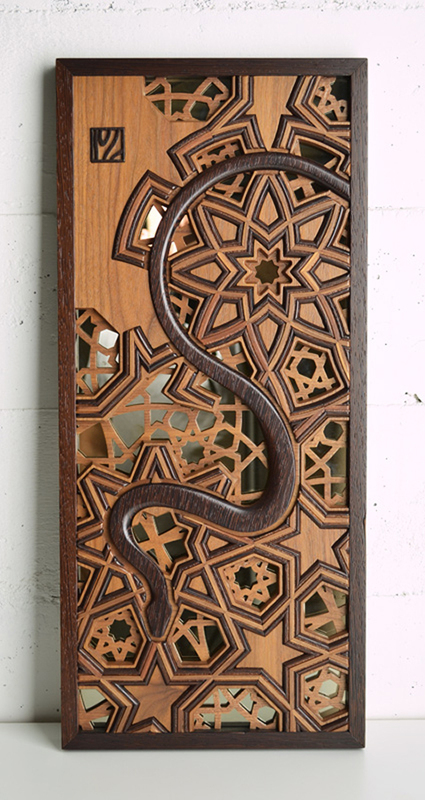 After getting his professional certificate in 2011, Barnett joined the small community of craftspeople at Studio 6608 in San Diego and began working full time making one-of-a-kind and short-run pieces, focusing on quality craftsmanship, solid wood, modern lines, and sometimes incorporating Arabic-, Asian-, or African-inspired motifs. Though the majority of Barnett’s work is made on commission, he has shown speculative pieces at juried international shows in California, Washington, and Illinois.